A new 2017 study by Alexander et al offers further proof that omega-3 fatty acids help prevent heart disease. This study – the most comprehensive to date investigating the relationship between omega 3 fatty acid supplementation and heart disease risk – cites known benefits of omega-3 supplementation such as reduced triglyceride levels, improved LDL and HDL cholesterol profiles, and improved blood pressure. These benefits had real effects as “participants with elevated triglycerides and LDL cholesterol experienced statistically significant reductions in coronary heart disease” as a result of the omega-3 supplementation. Higher doses (>1g/day of EPA + DHA) had a stronger impact on CHD than lower doses (<1g/day), explaining why studies using lower doses of omega 3 fats sometimes fail to show benefits (i.e. humans require more than the dosages used in those trials!). 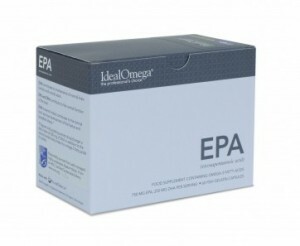 Heart health is just one benefit of omega 3 fish oil supplements – there are many others as well, but the reality is that an adult aiming to get 1g of EPA/DHA per day would have to eat a lot of fish! 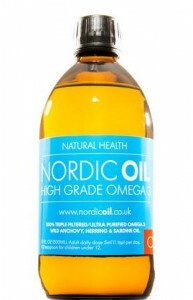 This is why a high quality, natural triglyceride, contaminant-free, unconcentrated omega-3 fish oil supplement is so useful, and the best we have found is the Nordic oil brand available here in the clinic, which provides over 1390 mg of EPA/DHA per adult serving (one teaspoon per day! ).